This is the mainstream jazz show we’ve been waiting for! “Café Jazz” (our first mainstream show) has been a tough act to follow… but we have finally found a companion show that is on par. “Return to the Source” provides the polished presentation and insightful selections that you would expect from a straight-ahead jazz show, and more. It is the real deal. Host Doug Turner, a 25-year aficionado, does an exquisite job. From the first tune, you know that you can trust this host to deliver. He makes the classics refreshing through his selection. He seems to know all the best tunes by all the great artists… including those, you’ve forgotten about. And each week he devotes a portion of the show to feature a particular artist’s music, with concrete information about the artist’s life and musical evolution. 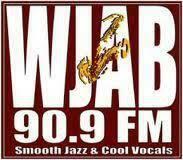 “Return to the Source” is produced from the studios of AAPRC Affiliate WJAB-FM in Huntsville Alabama on the campus of the Alabama A&M University Alabama A& M University (Two Hours Weekly).